RoadVantage Founder and CEO, Garret Lacour, joins the 2018 Agent Summit panel on “The Surging Ancillary Market.” Through a healthy exchange of ideas, Garret makes us proud with his valuable insights and market knowledge. Compliance and Regulations was one of the hottest topics discussing during the Surging Ancillary Market panel at this year’s Agent Summit. 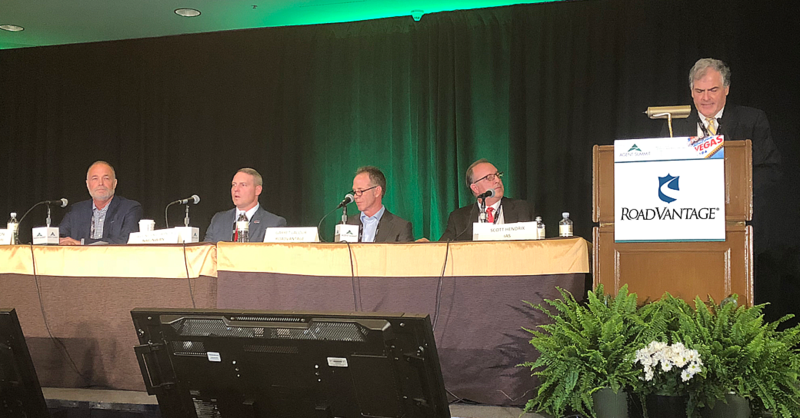 The panel was asked “What should an agent and/or dealer look for from product providers to make sure the products they sell are compliant?” The consensus from the panelists was to talk with the provider’s compliance department and find out how they are integrated in their administration. Get copies of your state’s regulations and read the provider’s form to make sure it is compliant. One panelist pointed out that just because your provider shows you a State’s File & Use confirmation does not mean the form is compliant. Ancillary regulations fall under 5 categories: VSC, Limited Warranty, VPP, Motor Club and GAP. Each product must have defensibility within the category in which it falls. Ancillary regulations are fairly new and still developing. The regulations are numerous, not uniform from state to state and require careful navigation. That’s why a compliance department is essential. In the recent Surging Ancillary Market panel at this year’s Agent Summit, the panel was asked, “Is it more profitable for a dealership and/or agent to sell multiple stand-alone products or a bundled product?” Garret Lacour responded, “The most common argument I hear against bundling is, ‘Why give up four products that produce four profits for one bundle profit?’ The simple answer is that four standalones never penetrate equally, so you’re not actually giving up four profits. And the bundle value proposition can support a higher profit margin. Focus on penetration with bundles.